York’s Mayor Kim Bracey’s son is addicted to opioids, she says, and that’s the reason he attacked her. Lancaster County’s Inspections at Lancaster Online. And this week, the printed results of the food serving facilities at the Ephrata Fair. Disturbing to read that two food serving establishments not a the Fair, but in Willow Street and KFC were cited because, “The person in charge is not performing the duties as required by the PA Food Code to actively manage food safety.” That is a scary thought. Click here to go to the state’s Website of inspections … and the listing of the violations at each location. The statewide directory lists inspections for all municipalities in York County and Lancaster County.… except those in Columbia – Columbia persists in having its own inspection system with its own forms and inspection items – rather than the one used statewide. Remember all the early-on fanfare about 255 North Third Street? Remember that the excitement? Remember the Coming Home to Columbia Websites: The projects of Columbia’s Housing Steering Committee & the Columbia Housing Steering Committee facebook page? That died quickly. 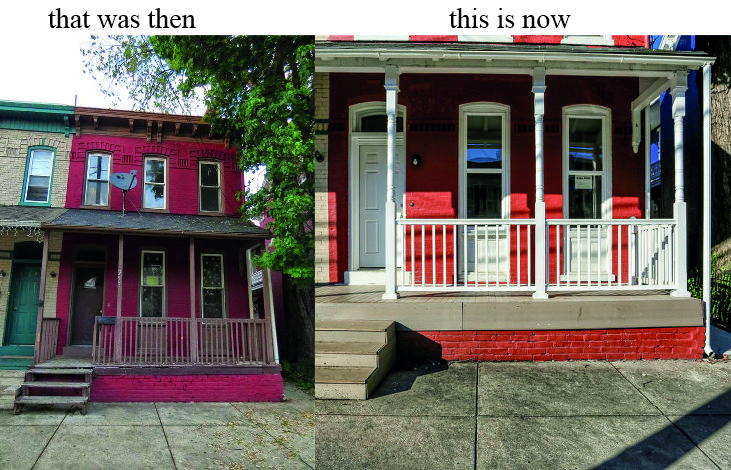 But now that property has been sold … for $92,500. The intention of the project has been fulfilled. Note, too, that the Columbia Borough School District is finally receiving its share of the Real Estate Property Transfer Tax – the tax that one school board director said it had ceded to the borough at one time in exchange for a per capita tax. Several elected public servants volunteering at the Columbia entrance point. Fewer people on the Wrightsville side around 11:00 am. A handful of chalked vendor spaces with no vendors. 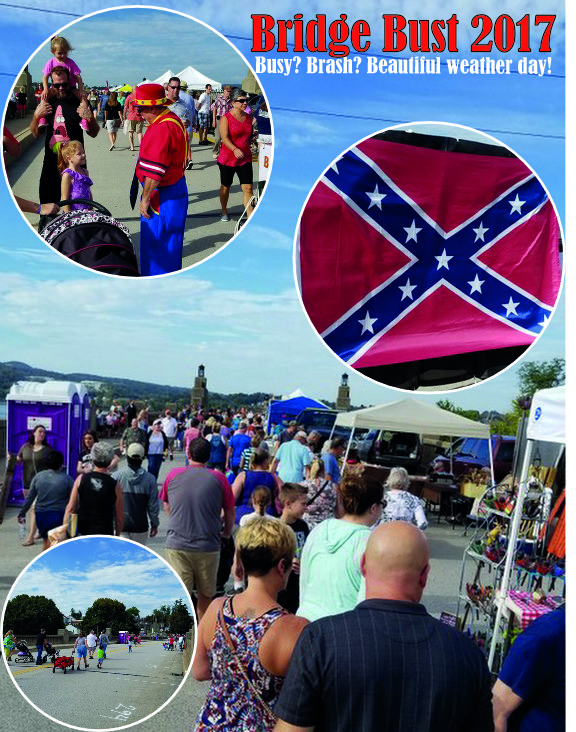 At least one vendor displaying or offering for sale the Confederate flag; more than a few fairs and similar venues have banned the sale of that banner. But columnist Jonah Goldberg says the amount the NRA spends to manipulate elected public servants is piddling compared to others. So it’s OK to not have any curbs on automatic weapons. Flu you! ” | Why should people get vaccinated against the flu? Yah!!! Columbia’s Police Department announced it’s now on Instagram at its facebook page. Another step to social media inclusion … another way to communicate with citizens! Well done, CPD. Can the borough be far behind? From SCHOOL BRIEFS in today’s LNP – Always Lancaster. In another MUNICIPAL BRIEF from Manheim, that borough is wrestling with the costs of continuing to operate the borough-owned swimming pool. And the borough has a K-9 program abetted by a GoFundMe page.